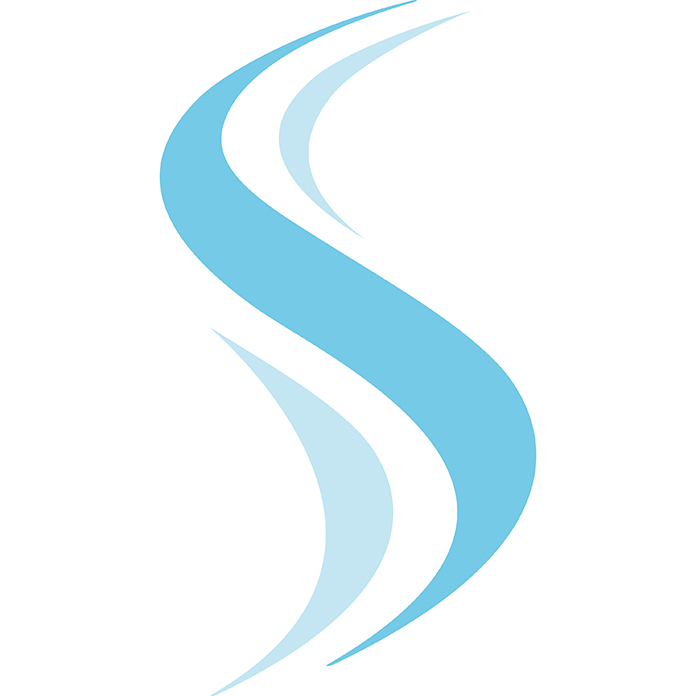 Share the post "Skerne Medical Group"
Skerne Medical Group is a group of four medical practices that serve the people of Sedgefield, Fishburn, Trimdon Village and Trimdon Station in County Durham. The word ‘Skerne’ comes form the local tributary, the river Skerne, which links the four practices. Previously called Dr Jones & Partners, the group decided on a name change to reflect the different geographical locations and bring the four practises together under one name. The ’S’ symbol within the new logo represents the river and a light blue colour scheme was chosen. 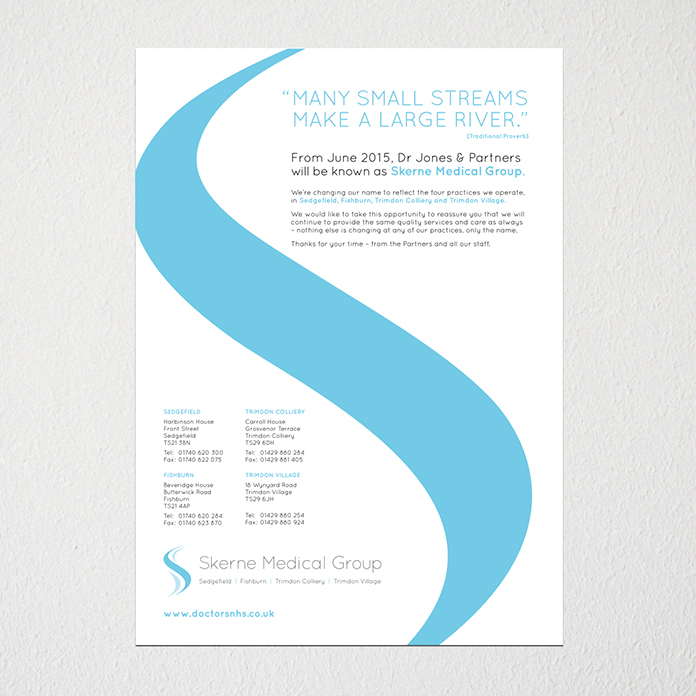 To complete the new branding for the client, I worked on stationery, advertising and a presentation template using the new logo, as well as a rebrand poster containing the traditional proverb ‘many small streams make a large river’. 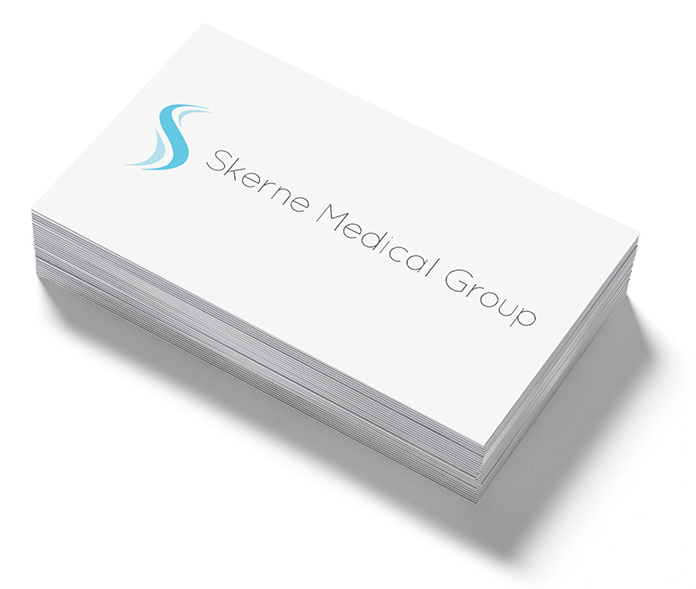 The new brand identity for Skerne Medical Group will be rolled out in the Summer of 2015.